Cherokee Lake is a 222-acre private lake in the foothills of the Blue Ridge Mountains. This lake is stream & spring fed and has a constant water level. 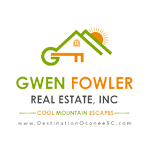 The lake has 2 boundaries with Sumter National Forest and the road around the lake is maintained by Oconee County. This lake was built in the 50’s and is the largest private lake in Oconee County. There are no mobile homes on this lake. The minimum square footage is 900. This is a great lake to tube or ski on. Fishing is excellent also. Welcome to the Golden Corner, this is an opportunity for you to build a gateway cabin. Membership to Lake Cherokee can be purchased with ownership of this lot, corner lot across from lake, gentle slope, ideal for cabin.